Indian Navy rescue team on way to Sivasagar on August 3, 2018. 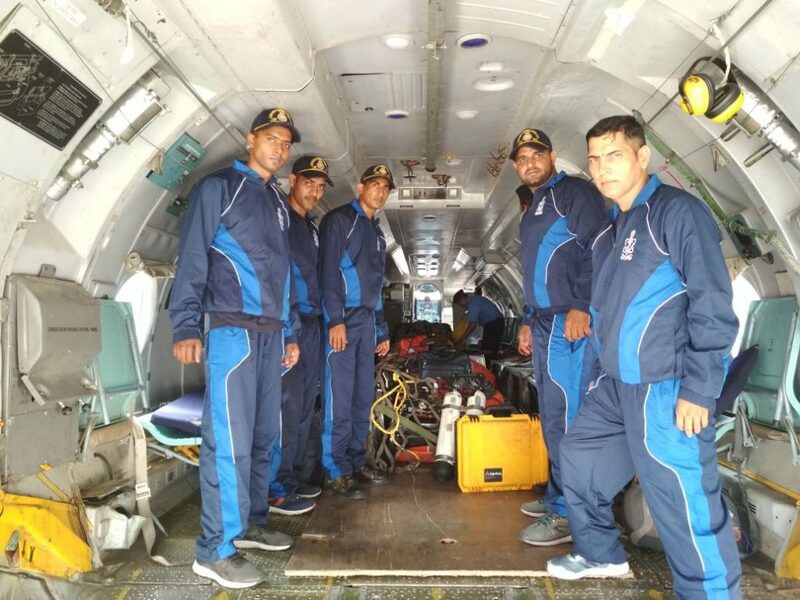 A team of eight Indian Navy specialist deep divers with equipment are joining shortly at the search and rescue operation site of Dikhow River at Dichial village in Dikhowmukh area of eastern Assam’s Sivasagar district. Notably, a five-member family of Haren Bora who went missing after the Maruti Swift Dzire car plunged into the Dikhow River at Dichial village of Dikhowmukh area in eastern Assam’s Sivasagar district on Saturday evening is yet to be traced despite vigorous attempts. 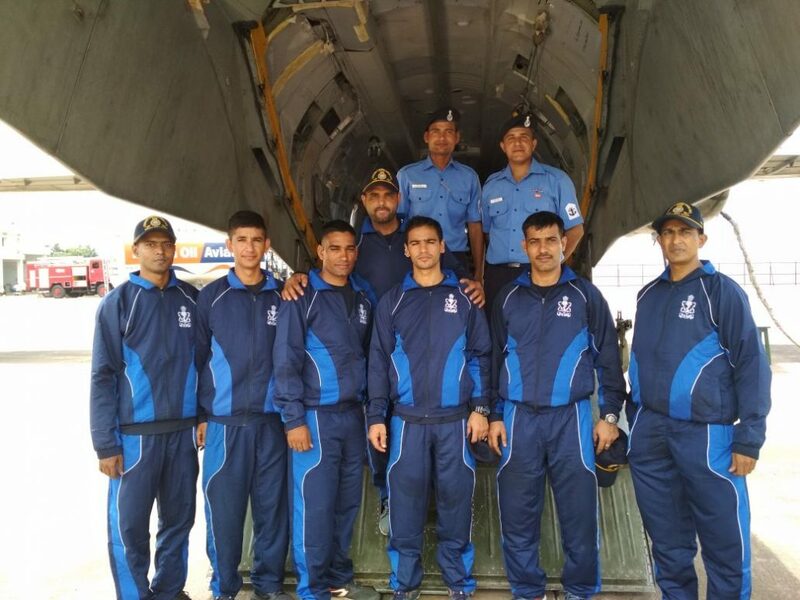 The Indian Navy team is arriving Jorhat a little above 4 pm in a special defence aircraft. The Navy team is on the way to Sivasagar from Vizag in Andhra Pradesh. Earlier, Assam Government has swung into action for the search and rescue operation of the five-member family of Haren Bora who went missing after the Maruti Swift Dzire car plunged into the Dikhow River at Dichial village of Dikhowmukh area in eastern Assam’s Sivasagar district on Saturday evening. Assam Chief Minister Sarbananda Sonowal has spoken to the Prime Minister’s office and the Union Home Ministry regarding the search and rescue operation of the missing family. Chief Minister Sonowal has also taken up the matter with National Disaster Management Authority (NDMA) and the Union Defence Ministry for help from the Indian Navy. The State Government is taking all possible steps to recover the vehicle and persons. Meanwhile, two boats of Inland Water Transport (IWT) have been kept as standby. Though the search and rescue operation has started early Monday morning, the search teams are yet to strike success because of the strong undercurrent in Dikhow River which is on a spate with muddy water blocking vision under water. Divers are going as deep as 40 ft in some areas. A total number of 10 boats have been pressed into service. 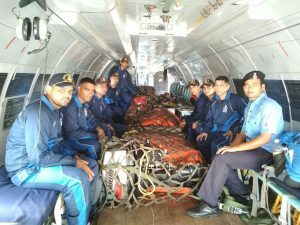 These include three teams from the National Disaster Response Force (NDRF), six teams from the State Disaster Response Force (SDRF); one each from Dibrugarh and Sivasagar and two teams each from Jorhat and Golaghat have been pressed into the search and rescue operation, apart from one team from the Para Commando of the Indian Army. A total of 32 deep divers are engaged into rescue operation. 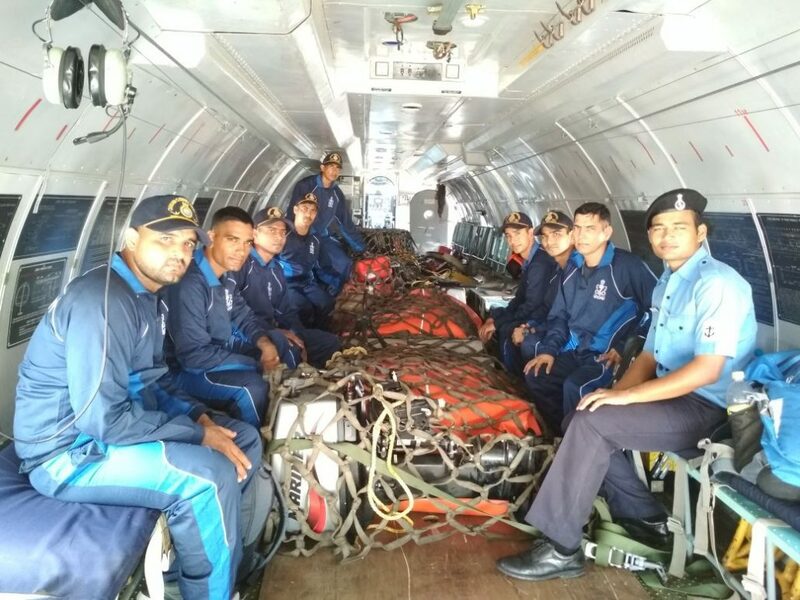 A total of 100 rescue personnel are engaged in the search and rescue operation including 44 from NDRF, seven from Dibrugarh SDRF, 12 from Sivasagar SDRF, 10 from Jorhat SDRF, eight form Golaghat SDRF, 14 personnel from the Para Commando and five from Civil Defence.